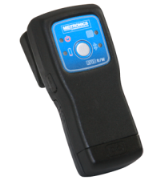 he Midtronics RFID Reader/Writer supports a comprehensive data reporting and management program, giving you the ability to quickly capture and store test data at every service event throughout a component’s lifecycle. Integrated with Midtronics analyzers and BMIS, the RFID reader/writer is a key element in a total battery and electrical management solution. The Fluke 2638A Hydra Series III » and Fluke Calibration 1586A Super-DAQ » are ideal for general purpose and precision temperature data acquisition applications. Thermal validation software from TQSolutions has long supported the Fluke Hydra Series data loggers. TQSoft and TQAero now support the Fluke 2638A and 1586A products for enhanced data collection and reporting required in regulated industries. Many data acquisition applications require compliance to government and standards agency requirements (for example, 21 CFR Part 11 and AMS 2750). Software from TQSolutions has been designed to enable engineers, technicians, and lab managers to meet the key guidelines for temperature data collection. These software solutions provide a complete qualification, reporting, documentation, and audit trail management system. • Compliance with United States Food and Drug Administration (FDA) Title 21 CFR Part 11 regulations on electronic records and signatures for incubation, sterilization, freezing, drying and temperature mapping validation applications in pharmaceutical and biomedical industries. • Developed in accordance with Good Automated Manufacturing Practice (GAMP) from the International Society for Pharmaceutical Engineering (ISPE). • Compliance with European standards for sterilization, decontamination, and disinfecting (EN554, EN285, EN15883, HTM2010, HTM2030), ISO 15833 requirements for washer-disinfectors, and ISO 17025 competence requirements for testing and calibration laboratories. • Has been audited by major pharmaceutical companies and its quality documentation has passed FDA audits. • Compliance with National Aerospace and Defense Contractors Accreditation Program (NADCAP) and SAE International AMS 2750 guidelines covering industrial heat treating applications in aerospace and transportation industries. • Supports heat treatment processes validation by Temperature Uniformity Survey (TUS) and System Accuracy Test (SAT) procedures required by AMS 2750. TQSoft and TQAero provide a menu system designed to simplify thermal validation test setup. The left panel guides you step by step. Dropdown arrows on the right list the full range of options. If desired, easily switch to the toolbar for access to all software features. TQSoft and TQAero check data files used to produce reports. Any changes made by an unauthorized person will render records unusable. All changes made by an authorized user are audited with full details of the changes made and actions performed. Both TQSoft and TQAero guide you through data logger channel configuration and communications setup with a temperature source, thermometer readout, and reference probe. 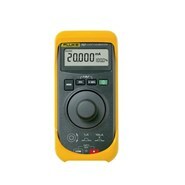 Fluke 2638A and 1586A models are automatically detected as data loggers for easy setup. Prior to a thermal validation test, an automatic or manual sensor calibration can be performed to determine multiple point offsets for each channel to correct for sensor measurement inaccuracy. When the sensors and reference probe are detected to be stable as defined, the software automatically applies all correction offsets, generates, and saves a full and traceable calibration report. TQSoft and TQAero allow you to set up and manage a three-dimensional (3D) wire diagram of the chamber space. Drag and drop sensors to their correct position in the 3D space. The completed diagram can be rotated and magnified. There are options for real time display of measurement values and to represent temperature gradients with color shading at each sensor position. After the test is complete, a real time display can be replayed with a time slider showing temperature behavior in the chamber. Completed diagrams can be easily added to reports. TQSoft and TQAero include a large library of templates for creating reports tailored to the needs of individuals, organizations, processes, and equipment. It’s easy to assemble a full report from the report sections. 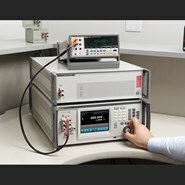 Cover pages, charts, data lists, calibration reports, calibration certificates, etc. can be included. The Report Manager window has been designed to manage and print complete reports. 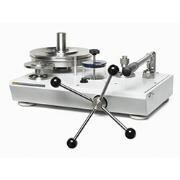 Manage your instruments and calibration data with this easy-to-use software. 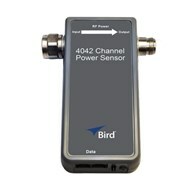 For use with 700G Series gauges to perform real time data logging. The nominal boiling point of nitrogen is –196°C at one atmosphere of pressure. The defining triple point of argon is –189.3442°C. While there is a difference between the nominal boiling point of nitrogen and the argon triple point, the difference can be corrected for mathematically, and an uncertainty of less than 2 mK from the actual argon triple point is achievable. Fluke Calibration's LN2 Comparison Calibrators consist of a vacuum-sealed stainless steel Dewar Flask, a high-purity copper block, and a precision-fit lid. The dewar is filled with LN2 and the copper block is suspended in it; an SPRT is inserted into the block and a calibration is performed against your own calibrated SPRT. The 7196B-4 includes four 8-mm (0.32") wells. The 7196B-13 includes five 8-mm (0.32") wells and eight 6.35-mm (0.25") wells. 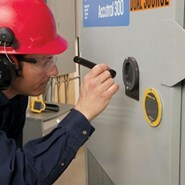 Fluke Calibration's constant volume valve is a pneumatically actuated needle valve with a return line connecting the inlet to a coaxial compensator. Needle displacement is matched by an equal and opposite volume displacement on the compensator. The constant volume valve is used in piston gauge crossfloats and other applications in which two high pressures need to be disconnected and reconnected with minimal purturbations on either side. 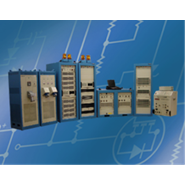 The Elgar Power Special Test Equipment (PSTE) provides programmable DC power, and programmable loading, to the electrical systems of satellites for system functional testing. There are several key benefits of the PSTE. First, it is a complete turnkey system that is capable of operating locally through a simple GUI interface or remotely via a host computer as a single Ethernet address. The spacecraft engineer who defines the spacecraft power bus limits, cabling scheme, mode simultaneity matrix, and system behavior based upon limit conditions implements the real intelligence of the system. From this definition, operating procedures can be generated to allow spacecraft technicians to operate the system, system protections are implemented that perform cable detection and mode verification, automated spacecraft fixture identification and related mode capability, and more. Second, the PSTE is intended to negate the need for purchasing new power test equipment with each new spacecraft. With a review of current and future needs and industry trends, power resources can be sized to provide the optimal blend of flexibility and price. The system also monitors and provides protection for the satellite electrical power systems against any damage by programming error or by system failure. The following resources are available in the system pictured on the cover. In most cases, the hardware resources can be scaled to meet the customer's individual requirements. • Customized for individual spacecraft I/O to allow convenient, manual verification of power setup. In this section, the overall system is first represented by a simplified block diagram along with a general discussion of the function of each equipment rack. 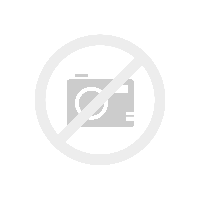 After which, each rack of equipment is represented by its own block diagram. Each rack block diagram is supported by a discussion of the equipment in the rack. Either the Remote User Interface (RUI) or the Remote Operating System (ROS) is the source of control, or Computer in Charge (CIC), at any given time, at the operator's discretion. The ROS is supplied by the user. The CIC communicates directly with the system controller in the MPR (MPR controller), and the entire system is controlled via the MPR Controller. 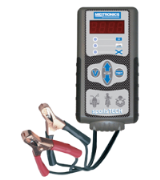 Diagnostics and Troubleshooting can be accomplished directly from the MPR controller. The Main Power Rack (MPR) provides main bus power for tests from up to five internal power sources. The Solar Array Simulator (SAS) provides solar panel simulation power. The Spacecraft Protection Unit (SPU) further protects the spacecraft from damage in case of failure of the built-in OVP/OIP protection of the rest of the PSTE system. For electrical system loading tests, the Electronic Load Rack (ELR) provides three programmable Electronic Load Units (ELU). The MPR contains an ELU that can be used when only one ELU is required.